I’ve missed blogging regularly. Overhauling this space took longer than I’d initially thought, but all’s well that end’s well, right? So now to catch up on the past few months, and to start with, Ireland. I’ve wanted to visit Ireland since I was a child and the star’s aligned to make it a possibility this past February. 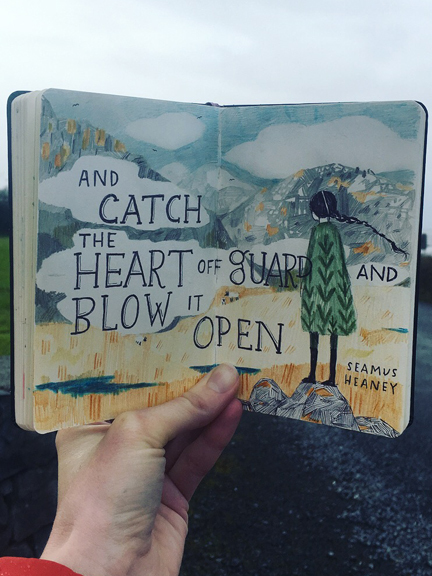 A friend that I’d shared my travel plans with mentioned that for those of Irish heritage, there’s an unexplainable connection with the land that one feels upon touching down. I wasn’t sure what to make of that, but tucked it away in the back of my mind. But now I understand. Fully. Visiting Ireland felt like returning home, home in the purest, most complete sense that I’ve ever known. I’ve tried to rationally explain this sensation, but I can’t come up with a plausible theory. All I know is that something that was buried deep within my being felt a sense of true belonging and deep joy. And to leave that ached. I’ve spent ages on the Irish immigration website, attempting to understand residency requirements, visas and other ways that this American might make a longterm stay in that land. And I’m not sure how to make that a reality, but want to, somehow, someday. But more practically, in the meantime? * Ireland is beautiful in the winter. If you’re hesitant about visiting during that time of year, don’t be: it’s as stunning then as ever. February was by turns rainy, blustery, grey and drizzly. But we also had days of glorious sun and afternoons where a coat wasn’t needed. I’d go back to Ireland in the winter in a heartbeat. * We ended up staying at a rental in New Quay, in County Clare (The Flaggy Shore). The house was terrific and our host wonderful — if anyone wants contact information, don’t hesitate to write me! 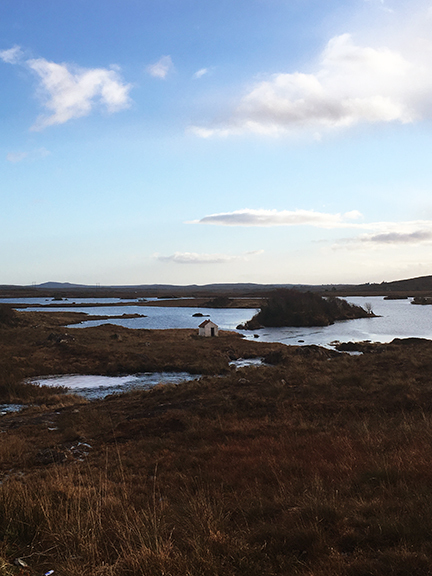 The location was a perfect jumping off point for the places we visited: Galway, The Burren, The Cliffs of Moher, Knock and Connemara. I was only in Dublin for a couple hours after arriving, but did manage to visit Trinity College and the Book of Kells. I wish I’d made it to County Cork (where most of my family came from), but the west of Ireland won my heart, for sure. * Assorted other places I visited: Wooden Heart in Galway is the most wonderful toy store (and has many beautiful children’s books). Corcomroe Abbey is beautiful. I’d love to live in Kinvara. Linnane’s made the best crab cakes I’ve ever had (and their Friday night music sessions are a delight). Linnalla Ice Cream was the stuff dreams are made of. The Moycullen bogs captured my imagination. And visit Brigid’s well. * Other general recommendations? Get off the beaten path. Ask questions. Bring a raincoat. Wear waterproof shoes. Drink a Guinness (or two). Be prepared to be amazed.